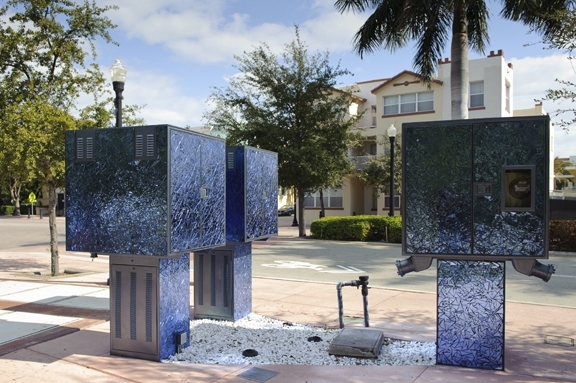 Wendy Wisher’s work is influenced by the natural environment and linked to the human inhabitance of that environment. 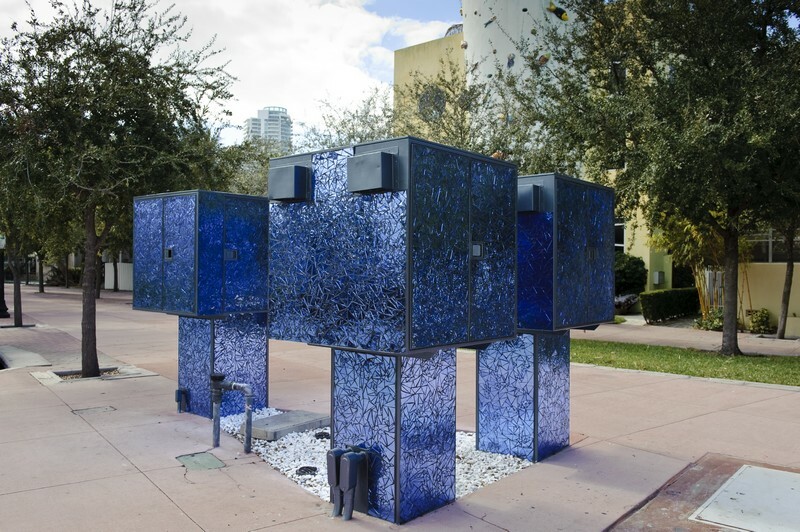 Ms. Wischer seeks the connecting threads that exist between the phenomenon of the natural forces and contemporary urban advancements. 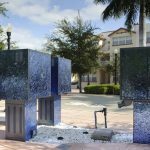 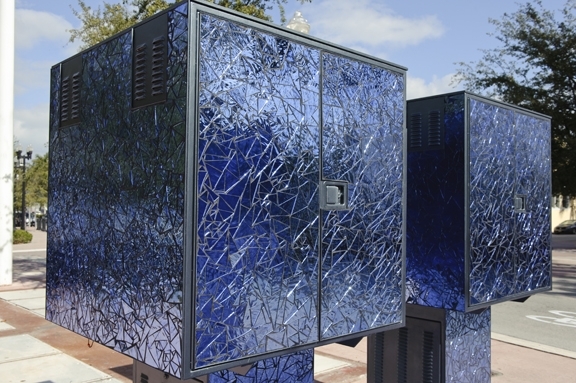 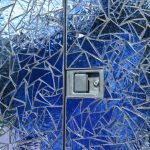 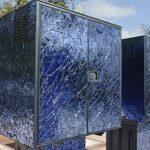 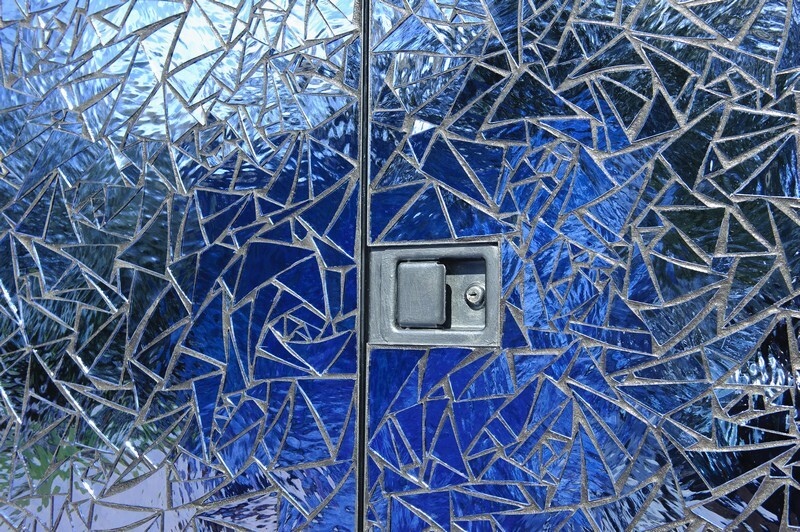 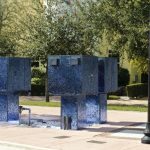 Liquid Measures includes hand-cut, blue mirror, water glass tiles that cover three, 4’x4’x4′ electrical boxes and their 4′ pedestals. 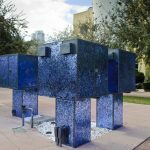 Inspired by the pattern of the Golden Mean, the eight-foot high, 360′ square foot installation makes reference to the wind and water currents that pass through the area while reflecting the surroundings of the environment and those within it. 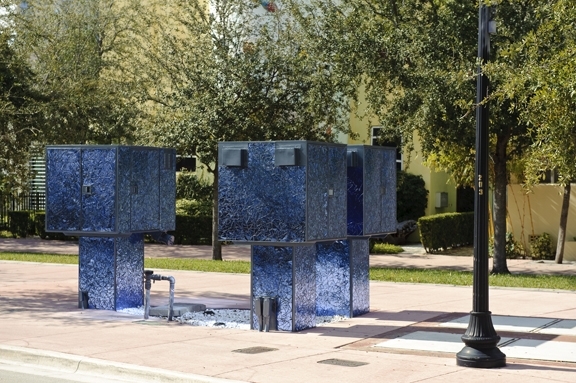 The tiles have a watery effect and shimmer as viewers walk by, and the lights in the city at night.